If you have some idea that somebody you’re close to who got arrested might have a rather extensive criminal background, you should anticipate that the bail required to get them out of jail in advance of their trial is going to be quite high. Provided the person has proven themselves to be responsible and not involved in criminal activity anymore, it may be a very good idea to bail them out. The reason is that, when you’re thrown in jail for even a few weeks, you’re basically removed from society altogether. That means bills don’t get paid, jobs get lost, friendships get destroyed and a whole host of other consequences occur, quite possibly to someone who didn’t have any of that coming. You’ll find out the bail amount generally within a few hours of the person actually being arrested. Realize that it may take longer if the jail is particularly crowded that night. When you find out the bail amount, don’t be shocked. If you go to a bail bondsman, you don’t actually have to pay that entire amount to get the person out of jail. You pay a percentage of that amount to the bail bondsman, who then issues a surety bond that the person who was arrested will show up in court on the date that they were given. Working with the bail bondsman starts by contacting their office, no matter what time of the day or night it happens to be. Because of the nature of what these professionals do, they run 24 hour businesses. After you contact the bail bondsman, they’ll need to know what jail the person is being held in, what charges they’re facing, the amount of bail set forth by the judge to get that person out of jail and any additional information they ask for. 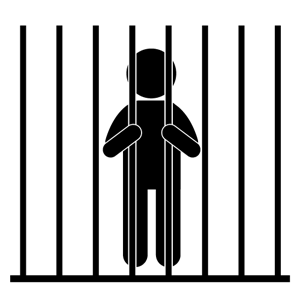 If the bail is extremely high, you may be asked to put up collateral as an additional security for the bail bondsman. This isn’t a bail bondsman being greedy. When the bail bondsman issues a bond to get that person out of jail, it’s on the contingency that the person shows up for court. 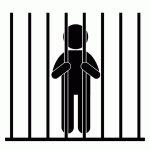 If the person skips out on their court date, the bail bondsman then becomes liable for the entire amount of that bond. It’s easy to see why they may want you to sign over your car or another valuable possession, just to make sure that you’re not taking a ridiculous amount of risk. Even if the bail is high, however, they can generally help you. When you’re under a high level of stress and dealing with an unfamiliar issue, you may be susceptible to scams. Specifically, if either you or a loved one has been arrested, Bail Bond scammers may target you for one of their scams. We’ll use this article to make you aware of the top 4 scams so that you’ll recognize them and be protected. Three of these scams are illegal and no honest Bail Bonds’ company would use any of these scams. Offering a discount on Bail Bond fees. Pulling a bait and switch. Hanging out at the jail and soliciting business. The law determines Bail Bond fees. Fees can’t be lowered, raised, negotiated, or discounted. Anyone who offers you a “discount” is breaking the law and you absolutely cannot trust him (or her). In most states, including Florida, county and state cases require a 10% Bail Bond fee. Because of higher risk, federal and immigration cases require a 15% Bail Bond fee. If someone tries to charge you more or less, it’s a scam and it’s illegal. Some Bail Bond scammers advertise a fee of 5% (which is an illegal fee); then, when they get you in their office, they tell you it’s 5% up front and you have to finance the rest – for a total of 10%. Anybody who isn’t completely upfront about fees is dishonest and should be avoided. Neither bait and switch nor financing a Bail Bond fee is illegal, but it’s a scam. If someone advertises a fee lower than 10%, avoid them like the plague. It’s illegal for a Bail Bondsman or a conman to go to the jail and try to get detainees or family members to hire them. That guy who takes your money at the jail may just be a conman, who disappears with your cash without providing any service. A legitimate Bail Bondsman doesn’t advertise in person or go to the jail to get business. Most legitimate Bail Bondsman don’t even need to go to the jail to bail a client out; instead they have highly systemized electronic processes and handle everything from their offices. If someone offers you Bail Bonds at the jail, walk away. It’s illegal. Some scammers prowl the jail, pay informants, give kickbacks, and call loved ones of those arrested to ask for their business – all is totally illegal. Unless, your loved one who has been arrested has called the Bail Bondsman, they are NOT allowed to contact you. Either you or your loved one must initiate the relationship. A Bail Bondsman soliciting business, from a detainee’s loved ones, is illegal. You can get a referral from friends if someone has had a good experience with a Bail Bondsman. In addition, you can use Bail by Phone at 877-422-4599 to avoid all scams. These Florida Bail Bond Services are fully licensed, have more than 20 years of experience, always charge statutory required fees (and no more – and no less), never solicit business directly, will answer your questions at no charge, and will get your or your loved one out of jail (so long as the judge has set bail). You’re welcome to call whenever you or a loved one has been arrested and detained. We’re always open – all day and all night and you can reach our fully licensed Bail Bondsmen at 877-422-4599. Many thanks. In order to bail someone out of jail as quickly as possible, you need to know a few things about the bail bonds industry beforehand. Most people don’t have a clue what they are getting themselves into, and that can often mean extra problems in the future and confusion initially. When you need to bail someone out of jail, you’re going to want to talk to a large bail bond agency. Don’t pick a small agency or a single bondsman, and make sure they’ve got a good history of bailing people out of jail, before you talk to them. When you talk to the agency, they’re going to ask you a few specific questions. These will generally be things like the name of the arrestee and your own personal details, but bear in mind you will need proof of identification. Make sure you bring these details with you, or have them ready, when you speak to a bail bonds agency, because it’s the very first part of the bail bonds process. Once you’ve given them your details, you’re going to need to sort out the collateral and pay the 10% premium of the bond. Make sure you take your time with this decision and talk to the agency about the different options you have. It’s important that you aren’t risking your own financial future too much. Once you’ve done that, the arrestee will be released when possible by the jail. The next part is highly important, because you need to keep track of that person until they appear in court when summoned. If they skip out on their bail, you will have to pay the full amount of the bond, which is a horrifying prospect. Once the court date is finished, you can breathe easy, safe in the knowledge that you have beaten the bail bonds industry. Great video on pretrial release programs. So many people don’t realize what is is and what it is exactly costing your community. i encourage you to view the video and leave your comments. How to be a good friend – bail someone out of jail! If you’ve got a friend who was arrested and put in jail, whether rightly or wrongly, it is your duty to try and help them in any way you can. This could simply be in the form of moral support or setting your friend up with a good attorney, but if you really want to help then bailing them out would be the best thing you could do. Bailing someone out of jail is surprisingly easy, and isn’t anything how some people would have you believe it. The people in charge of bail bonds are extremely professional, deal with hundreds of thousands of dollars, and carry strong reputations in their industry, they aren’t just trying to make a quick buck. If you can trust your friend completely not to skip out on his or her bail, then you really should have no hesitation about initiating the process. You’ll want to talk to a bail bondsman with specific knowledge of the way your area works (for example, a Fort Lauderdale bondsman), and who has years of experience under their belt. You’ll have to provide some information about the inmate, and yourself, in order for the process to truly get under way. Once the preliminary administration is carried out, the whole process can be very quick indeed. You’ll be asked to pay a 10% deposit (that’s 10% of the full bail amount) and also possible provide collateral. Collateral could be any type of asset that the Fort Lauderdale bondsman can sell at a later date to cover the costs of the bail, if your friend fails to fulfil the conditions specified by the court. Once all that is done, it’s a simple case of waiting for the jail to release your friend. This can take a few hours, or a few minutes, it all depends on the jail and has nothing to do with the bondsman in charge of your case. If you follow instructions, you could be your friend’s new hero in a matter of hours. If you’re thinking of becoming a bounty hunter, or you’ve been in the business for a little while, then you should know that there is never a point when you stop improving. You should always be looking for new techniques and ways to recover the fugitives you are looking for. Bounty hunting is almost an art form, and even the very best in the country recognise that there is always room for improvement. You should be talking to other bounty hunters about their techniques and the way they work, if you can find even the slightest little advantage, then you’ll be better off. Just remember that every 1% that you get better, you are exponentially smarter and more capable than the person your are trying to catch. Building up a solid network of contacts is something that can take years to do, and often relies on experience and a good sense of community. However, you can speed the process along by taking a step back and looking at the people in your area. Is there anyone who pretty much everyone knows? Are there people who see everything that happens in the neighbourhood? If there are, you should be talking to them and building a relationship with them, these are the people are who going to make you money in the future, so be polite to them. You should also be looking to get inside the mind of the person you are trying to catch. It’s not enough just to start wildly chasing them as soon as you get the job, you need to understand who the person is, what they are like, and where they are likely to go. You’d be surprised how stupid some criminals can be, and often they will go to the most obvious places, just because they lie slightly outside the area people normally think to look in. If you know your fugitive, you’ve got a massively increased chance of catching them. Bounty hunting is all about having an arsenal of techniques and strategies, and you need to be flexible to match the situation you are given. Being an immigrant is hard enough; you’re in a completely different environment to the one that you’re used to, you don’t understand the culture, and you haven’t got any friends to help you through it. These problems can be compounded if you are put in jail and have to battle against a legal system that you don’t understand in any way. If you’re sent to jail, you’ll probably want to post bail in order to get back to your family or just live with some freedom prior to your appearance in court. The process of being bailed out of jail is slightly different for immigrants, and requires an immigration bail bond. 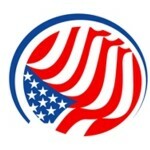 An immigration bond is also a federal bond, and is different in some ways to standard state or county bail bonds. When a bond is posted for an immigrant, the details will go straight to the Bureau of Immigration and Customs Enforcement who will take the money and look into the case further. It is also important to note that you’ll need to talk to a bail bond agency who is specifically licensed to work with immigration bail bonds; something which not all bail bond agencies are allowed to do. Working with an immigration bail bond is fraught with difficulties for an agency, for example there may be a language barrier which breaks down communication. It could also be the case that very little personal information is available, and there could be identification problems. All of these issues, added on to the higher risk of bailing out an immigrant, mean that the deposit asked for by the agency is likely to be between and fifteen and twenty percent. The bond agency may also ask for collateral, but again because of the immigration circumstances, this may be hard to come by. Ultimately, immigration bail bonds are much more difficult to deal with than standard bail bonds, and as such take longer to process and have more risk involved. Working with a professional bail bond agency, with experience of immigration bail bonds, will help you hugely in this matter. Federal bail bonds work differently to standard bail bonds; there are a few main differences and knowing them will help you if you are ever in a situation where you need to know them. Federal bail bonds are of a higher risk and generally of a higher price than standard bail bonds, therefore most bail bond agencies will ask for a higher deposit. This deposit will usually be around the region of 15%, slightly more than the 10% asked for when dealing with state or country bail bonds. When dealing with a federal arrestee, you can use the Federal Inmate Lookup Service, which has details about the arrestee and their circumstances. This is a useful database but most bail bond agencies will also be able to use their own databases to find information about an arrestee. The co-signer of the bail bond will also usually have to attend a nebbia hearing when dealing with a federal bail bond. This is to ensure that sufficient collateral can be raised by the co-signer to cover the amount of the bond. Dealing with federal bond cases will generally take a little longer than when dealing with county or state bail bonds; more details need to be gathered and, because of the higher risk, the bail bond agency will want to make sure they know exactly what they are dealing with. It is extremely risky unless all parties concerned can be absolutely sure that the defendant will appear in court when summoned, since federal cases are highly serious and potentially dangerous if the defendant cannot be found. This is why federal bail bonds are usually much higher than standard bail bonds, because the risk of the defendant not appearing in court when summoned is very high.